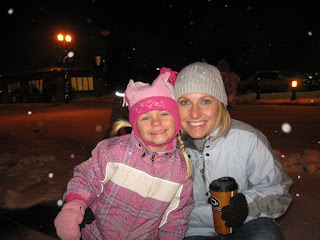 Keeping Up With the Kapenga's: Christmas Parade! 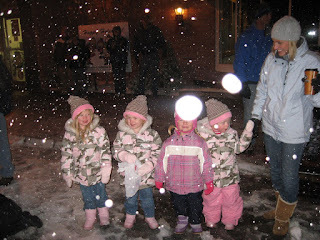 Jenna was so excited to go to the Christmas parade in Zeeland on Monday night. It wasn't very long but given the fact that it was SO cold, that was fine by me. We met the triplets there and together they watched all the lights and grabbed plenty of candy!